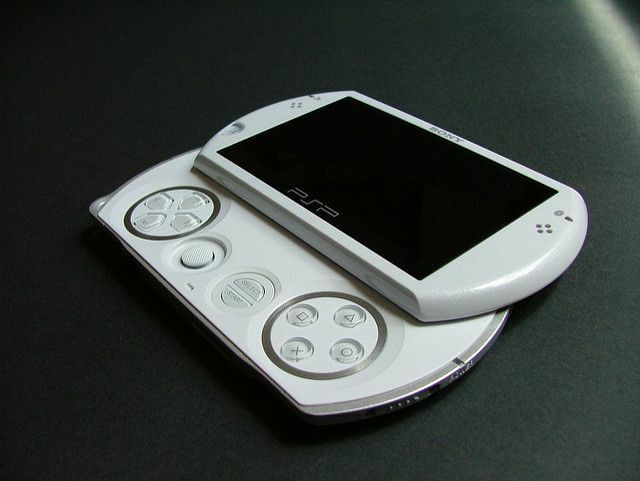 The Sony PSPgo, model PSP-N1000, had a significantly different design from the PSP 3000, the other PlayStation portable handheld gaming console that was available from Sony at the same time. The PSPgo was released in October 2009 and was sold until April 2011, when Sony turned its full attention to the PlayStation Vita. Sony discontinued the entire PSP line and shipped its last PSP console to the U.S. in 2014. Sony was never able to compete with the Nintendo Game Boy, which had an advance start in the handheld gaming console market. The PSPgo doesn't have a UMD design, so it is a quiet and efficient device. It's Bluetooth support accommodates Skype headsets and other devices. The PSPgo is designed for music, communication, video, gaming, and wireless networking. The handheld is compatible with all PSP game titles.